Wow! I just downloaded the free preview of this workbook for teachers implementing the Kindergarten Common Core in their classrooms. Check it out here. I love the number cards included in the preview...they contain the number words (one-ten), numerals, tally marks and a card with the corresponding number of buses on them. Awesome! If the preview is anything to go by, this high-quality 600+ page document containing Math and English strategies and ideas for implementing the Kindergarten Common Core will be amazing. It is a comprehensive and practical guide to implementing each of the Math and English Standards, a must for all K teachers! 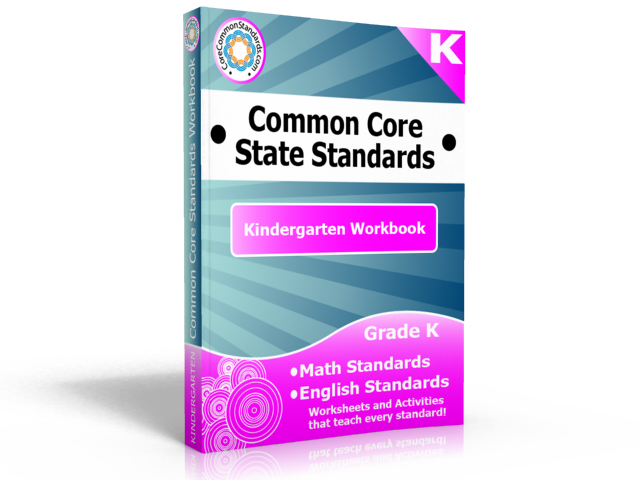 All Kindergarten Common Core Standards are covered, and it contains activities, centers and worksheets. The whole download (usually $39.99) is free (for bloggers) for a few more days...check out the details here. Thanks for your awesome blog post! Teachers, check out the Kindergarten Common Core Activities!